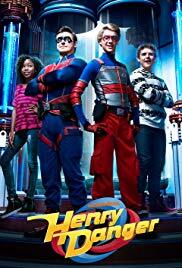 As Henry tries to adjust to his new role as Kid Danger, he struggles to balance his schedule between crime fighting, school, family and friends. 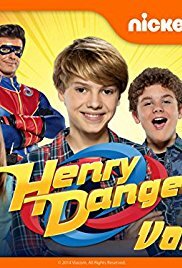 Henry's life as Kid Danger is threatened when Charlotte gets increasingly suspicious about the secrets he's been hiding. When Captain Man loses his powers of invulnerability, he becomes too afraid to fight crime. It is up to Kid Danger to keep Swellview safe and figure out how to restore Captain Man's powers. When a suspicious new student shows up at school, Charlotte and Henry think he may be up to something. Captain Man goes undercover as a substitute teacher to learn more. It's Halloween down in Swellville and there's a little more trick than treat. When Jasper tries to impress and girl by tricking her into thinking his Kid Danger, trouble arises. A very stupid criminal mistakes him for the real Kid Danger, and it's up to Henry and Captain Man to save the day. When a piece of rock from outer space is more than it seems, trouble follows Henry to his home. An accusation prevents Henry from being invited to a girl's birthday party. Henry believes that he was replaced on the basketball team by an older boy. Henry is exposed to a strange device in the Man Cave which causes problems on a date. Ray's friend, who was accidentally turned invisible, shows up for a visit, but he quickly overstays his welcome. Meanwhile, Jasper fixes up Piper's old doll-house in the backyard. 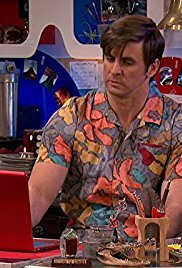 Henry and Ray must deal with an annoying new villain called the Spoiler; Piper tries to join a popular Captain Man fan club. In an attempt to investigate a string of robberies, Captain Man gets Henry a spot on his favorite game show. Henry and Ray think the world is ending when a dormant super volcano under Swellview becomes active; Piper is convinced that she has gluten intolerance. When Henry's crush goes on a Valentine's date with someone else, Schwoz provides an android to make her jealous. Ray has an unpleasant date with one of Henry's teachers. Henry, Charlotte and Ray's plans for a day of fun are derailed when Jasper accidentally triggers the emergency lock down mode for Junk-N-Stuff and the Man Cave, trapping everyone inside. After Kid Danger saves Bianca, they both share a kiss. But later Henry gets upset about it. After Henry's mother's purse is stolen, Captain Man decides he has to move into his house to protect his family from criminals. A villain's dream beam traps Henry in a dream state from which only Charlotte can rescue him. 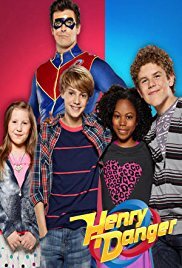 Henry is grounded after he is caught sneaking out at night; while Piper drives Henry crazy at home, Charlotte steps into the sidekick role. Captain Man attempts to boost his image by holding a contest where three winners gets a tour of his secret lair. When Henry's friends are among the winners, Henry becomes concerned for his secret identity. Henry and Charlotte want to tell Jasper that Henry is really Kid Danger. They decide to give Jasper a test secret to prove he's ready. A graffiti gang is spray-painting all over Swellview; while trying to track down a gang leader, Kid Danger is tempted by a cute girl in the gang.